As we approach the festive period who better to feature than arguably the greatest goal scorer ever to have worn a Hereford shirt – Dixie McNeil. I had the pleasure of hosting an ‘Evening of Soccer’ with both Dixie alongside Tommy Hughes, another Hereford legend in June 2017 and was virtually transported back to the heady days of watching the Bulls in the Second Division of the Football League. What memories! Richard, universally known as ‘Dixie’ was born in Melton Mowbray, Leicestershire on 16, January, 1947 and initially played football for Holwell Works, a local league side. His goal scoring talent was recognised by Leicester City who signed him in December 1964. The Foxes were a strong First Division side at that time and reached the League Cup Final twice in a row in 1964 and 1965. Opportunities to play in the senior side were thus restricted, although Dixie played his part in a successful reserve side at Filbert Street. A transfer to Exeter City took place in June 1966, and Dixie made his Football League debut that season, scoring 11 goals in 31 appearances. He was surprisingly released and joined Corby Town – a Southern League side closer to home. Such was his impact with the Steelmen he was snapped up by Northampton Town in May 1969. He played for the Cobblers against Hereford in the FA Cup in 1970 and even had the temerity to score against us! Dixie also scored for Northampton on the day George Best scored six times for Manchester United in an emphatic 8-2 FA Cup win for the Red Devils. 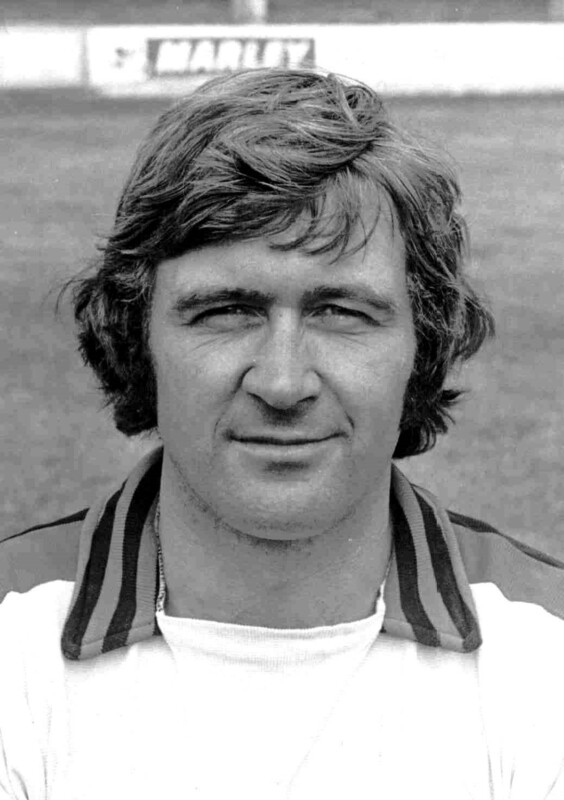 Dixie notched 33 goals in 85 games for Northampton before a £15,000 move to Lincoln City in January 1972 where he linked up with future England boss Graham Taylor. His record at Sincil Bank was even better – 53 goals in 97 games. 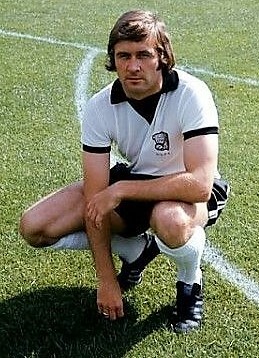 In August 1974 John Sillett paid a then club record £20,000 transfer fee to bring the marksman to Edgar Street, and he became the club top scorer for the next three seasons. So potent was his scoring rate he lifted the ‘Golden Boot’ award as the leading Football League striker for two years in a row. His goals took Hereford up to the Second Division (now the Championship) and during the 3rd Division title winning campaign he forged an impressive partnership with fellow striker Steve Davey. Indeed, with former England international Terry Paine providing the ammunition from midfield Dixie fired home 34 league goals in 40 appearances. A proven striker with that scoring aptitude would cost tens of millions these days. After the club’s relegation and subsequent financial woes Dixie was sold to Wrexham for £60,000 in September 1977. He proved to be just as popular at the Racecourse Ground and although his scoring was less prolific he found a lucrative role just behind the ‘front-two’ for Wrexham. He set a new FA Cup record by scoring in 10 consecutive rounds and immensely enjoyed the clubs exploits in the European Cup Winners Cup. Local cricketers will recall Dixie as a talented player who amassed plenty of runs over the years. Indeed, he could have entered first-class cricket after featuring for both Northamptonshire and Glamorgan 2nd XI’s. Dixie returned to Edgar Street briefly in the 1982/83 season, before being offered the manager’s job back at the Racecourse. His side once again lifted the Welsh Cup and so Dixie embarked on another European campaign – this time from the dug-out. His former boss John Sillett then offered him the assistant manager’s role at Highfield Road with Coventry City a role he was to replicate with Hereford in the 1991/92 season. Other managerial appointments arose in the League of Wales with Flint Town, Caernarfon and Newi Cefn Druids, although Dixie has been a regular summariser for BBC Radio Wales, and has worked alongside me with BBC Hereford & Worcester on a number of occasions. 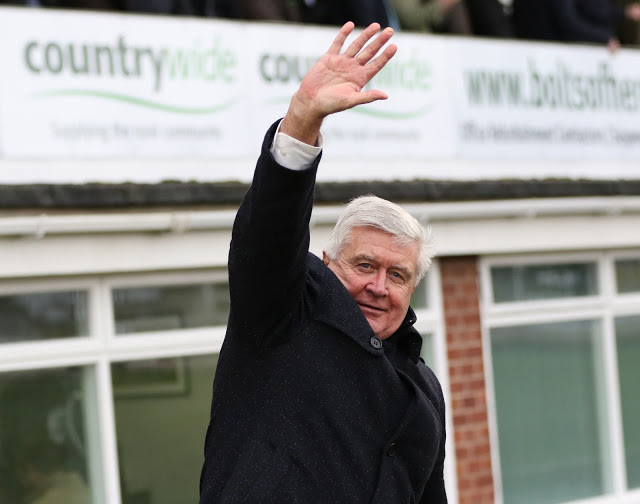 His appearance at Edgar Street often seems to correspond with a much needed victory, as was the case when he co-commentated on the Bulls’ dramatic victory over Camberley in the FA Vase Quarter-Final in February 2016. His autobiography ‘Dixie’ was released in November 2011.